The Devic Essence makes you less concerned with problems. It helps you feel more passionate about your path and calms stress and connectedness. The Devic Essence was prepared on the summer solstice in the Chalice Well Garden in Glastonbury, England. It helps to establish very strong links with the Devic Kingdom, while its spiritual healing quality returns one to a place of simplicity and blissful peace. It brings about a feeling of total oneness — being at one with absolutely everything and far less concerned and preoccupied with the hassle and problems of life. It enables one to contact and communicate with nature, and to listen to any message the plant kingdom has for us. This remedy attunes you with qualities such as healing, from the Devic Kingdom and will help to earth anyone who is ungrounded or out of control, connecting them back to nature. The Devic Essence is very good to soothe and calm those who are stressed out, wound up, stuck for time or feel disconnected. 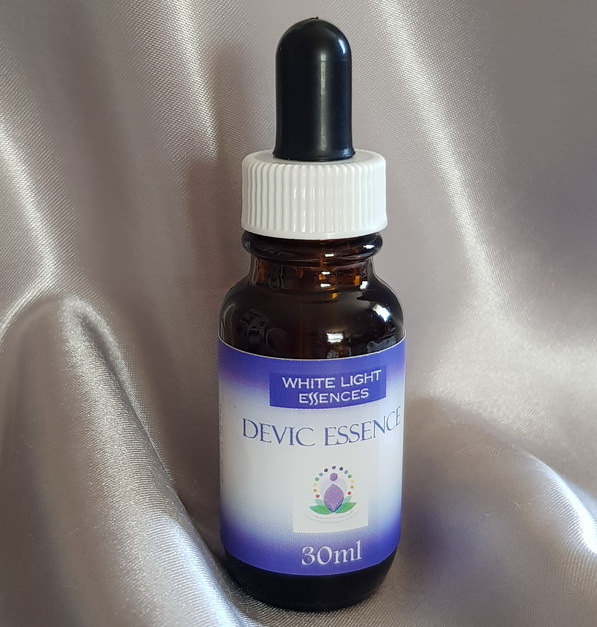 The Devic Essence assists us to care for ourselves on a spiritual level and brings about a devotional, nurturing quality within us for ourselves and others as well as nature. Most importantly, it will help you to remember why you are here, and assist those who remember their destiny to take action and become more passionate about their life path once again. This Essence also allows us to appreciate the great importance of knowing and remembering that we are a soul being that has, but is not, a physical body and can be used for people close to passing over.